Today marks the beginning of a special season in my household. It’s the day that the Seattle Seahawks and the Green Bay Packers battle it out in the opener of the NFL season. As such, it’s the start of the five months of the year when my husband and I suddenly seem to have less in common. 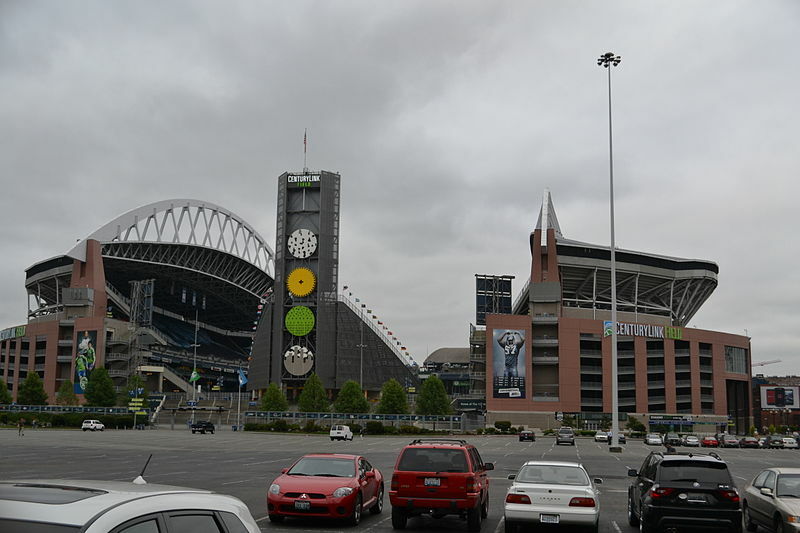 Century Link Field, where the very long football season will get its start. Actually, it really started this past Saturday with the beginning of college football. I don’t begrudge him this interest of his. With the exception of feeling some understandable loyalty toward our various alma maters, he’s not a big fan of any particular team on either the college or pro level. But he loves the sport. He loves the strategy of the game and he enjoys learning the strengths of individual players and coaches, watching their successes and failures throughout the long season. And I wish I could catch his enthusiasm, because I genuinely would like to be able to share in it with him. But as much as I try to watch the games and pay attention to his tutelage, I usually just wind up getting lost in the details. Still, I decided to give it another shot, and so I sat down last Saturday to watch the Croke Park Classic broadcast from Dublin, Ireland, partly because I was intrigued. As far as I know, American football isn’t really one of the things Ireland is most known for. And it wasn’t even the first time Dublin had hosted American college football. In 1996, The Midshipman of the US Naval Academy were defeated in Croke Park by, of course, the Fighting Irish of Notre Dame. Now eighteen years later, indicating that the threshold of the Irish people for the sport is similar to my own, Croke Park once again hosted an American football game. This time it was a match-up between Penn State and the University of Central Florida. Because neither team has an Irish mascot, it was a close game, with Penn State winding up on top of a 26-24 score. 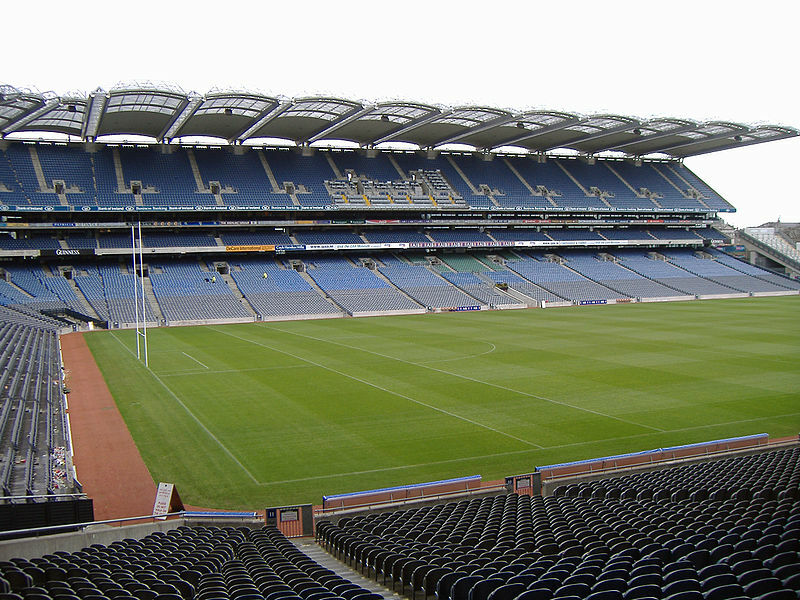 Croke Park in Dublin, Ireland, host to Gaelic football, hurling, rugby, and occasionally American football. I enjoyed watching it, too, because in addition to the football, which I found as bewildering as ever, ESPN-2, which aired the game, also featured informative clips about fascinating Irish sports that are lesser known in the United States. My favorite of those featured is called Irish Road Bowling. It dates back to at least 1728 when it gets a mention in the poetry of Jonathan Swift, but likely to many years before that. The sport is played most often in the Irish Counties of Cork and Armagh. Similar sports are played in the Netherlands and parts of Germany. Even some areas of the United States are starting to get into the action, just sadly, not here in Missouri. Yet. What intrigues me about this sport is its simplicity. 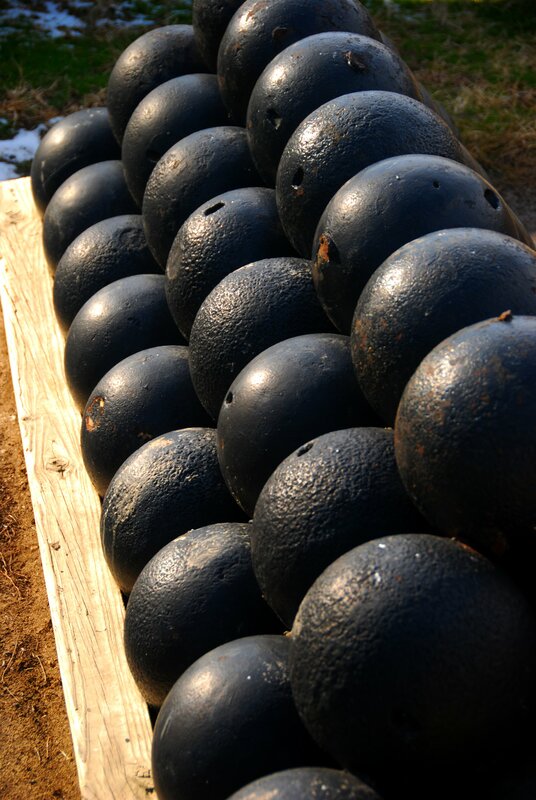 Basically, you get a bunch of players together, find yourself a 28 ounce cannon ball (because I’m sure you have one in your garage somewhere) and see who can launch it down the road to an agreed upon finish line in the fewest throws. Of course, like American football, road bowling is a sport of some rules, records, and heroes. And since 1954, the Bol-Chummann na hEirman (roughly translated as the Irish Association in Charge of Throwing Stuff Down the Road), has been in the business of making the sport complicated enough to support championship play, both locally and internationally, successfully taking the sport of Road Bowling all the way from terrible road nuisance despised by local authorities to ESPN-2 featured international sport of awesomeness. Frankly, if the broadcasters of American football made more of an effort to introduce me to fun sports I’d never heard of from around the world, I’d probably watch more football. As it is, I can promise to watch at least once every eighteen years. I admit I didn’t watch it, but in this part of the country it’s hard to support the Packers so I guess, Yay!